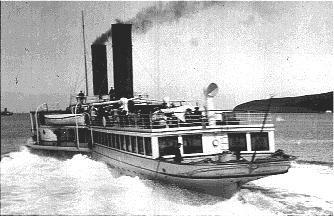 Last of the Clyde Paddle Steamers and still going strong! Here's a picture of 'Waverley' leaving Brodick Pier (Arran), on an afternoon relief sailing at Easter 1971. 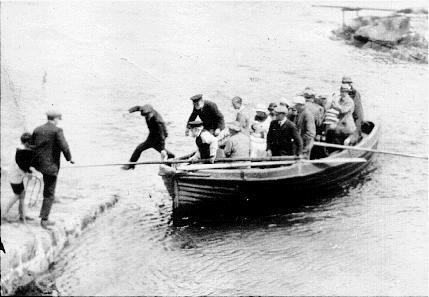 Coming ashore, at Corrie c.1935. Photo by Jack Young, Courtesy D.J.Young. Scan © 1996 D.J.Young. Electric Soup © I.W.Logan MCIT 1998. Last updated: 11 Jul 98 at 1400BST.